The new album from Mutual Benefit, Thunder Follows The Light, out Friday on Transgressive, is a lovely piece of work. I suppose there's already a following around Jordan Lee, AKA Mutual Benefit, but I'm a bit late to that party. Having heard this new release, I'm now firmly on-board here as a fan of this guy. Opener "Written in Lightning" pursues a path once trod by Jon Brion and the artists he's produced, while the achingly-beautiful "Storm Cellar Heart" coos with the sort of gentle melodic grace found on certain Lennon records, and late-period Elliott Smith offerings. Elsewhere, "Come to Pass" succeeds thank to a faint folk-y hook, while the elegant "No Dominion" purrs by with a real neo-classical sense of deliberation. Lee has a knack for crafting compositions that feel like ornate contraptions with some of the pieces removed. At times, like on "Mountains Shadow", his music makes me think of early efforts by Ed Harcourt, but Jordan Lee seems to owe less to forefathers like Tom Waits, say, than Harcourt does, and that absence of messiness adds a real vibe of care to things. And what Lee is doing here is presenting an updating of familiar chamber pop forms, albeit in decidedly modern trappings. Fans of Radiohead ballads, Badly Drawn Boy, and Philip Glass, should find many things to love here. Thunder Follows The Light is lovely and contemplative, and yet never pretentious. Jordan Lee as Mutual Benefit has grounded his material in such a way that each cut shines around a central hook, the pieces around the hook carefully-chosen ornamentation designed to remind a listener what a great songwriter is capable of. Thunder Follows The Light is out on Friday via Transgressive. 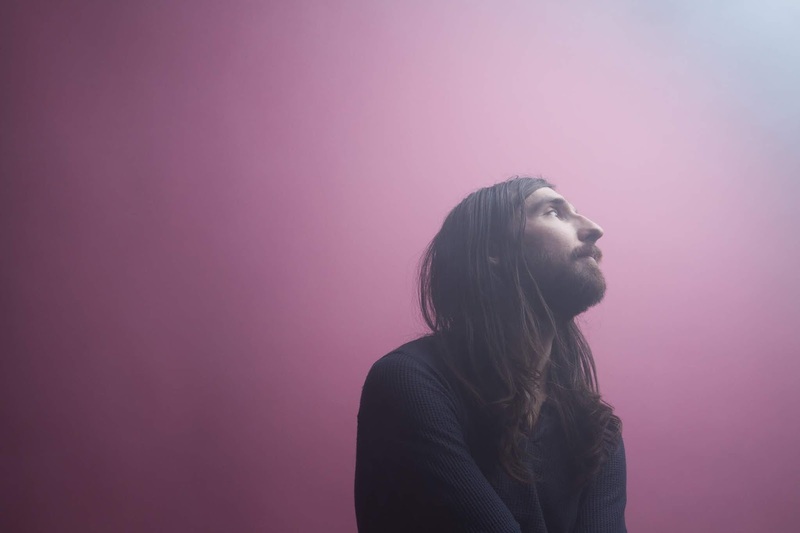 More details on Mutual Benefit via his official Facebook page, or his official website.